SEMA Hall of Fame - Roy Leslie, 1972, Kenz & Leslie Accessories Ltd..
Former auto mechanic Roy Leslie partnered in business and racing with longtime friend Bill Kenz—the Kenz & Leslie parts business in Denver, as well as a streamliner of the same name that set records on the Bonneville Salt Flats. 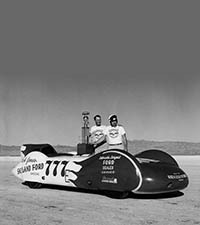 In fact, he had set a new world’s land speed record, and had the quickest speed on record for an American driver in an American car. 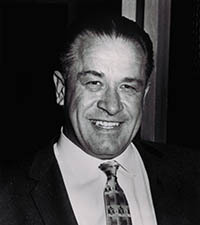 Roy imparted the integrity and virtue of an honorable businessman.